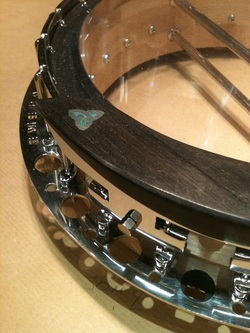 This pick up has been designed specifically for use on banjos, seen here with an ebony fixing attachment (unique to Emerald) it incorporates a quiet humbucking coil, and neodymium magnet making it the best there is ! 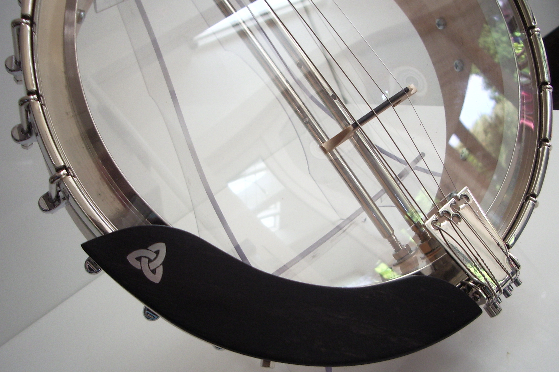 The pick up comes fitted to your banjo via two of the tension hooks at the bottom and is both discreet and aestetically pleasing. 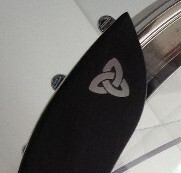 Unlike modified armrests from other maufacturers the ebony on the top of this armrest is but 2mm thick thus keeping the picking height of your hand down to the desired minimum and both the inner and outer edges have a carved sheath.Our love knot logo is inlaid at the top making this upgrade truly good to look at and very comfortable to use. 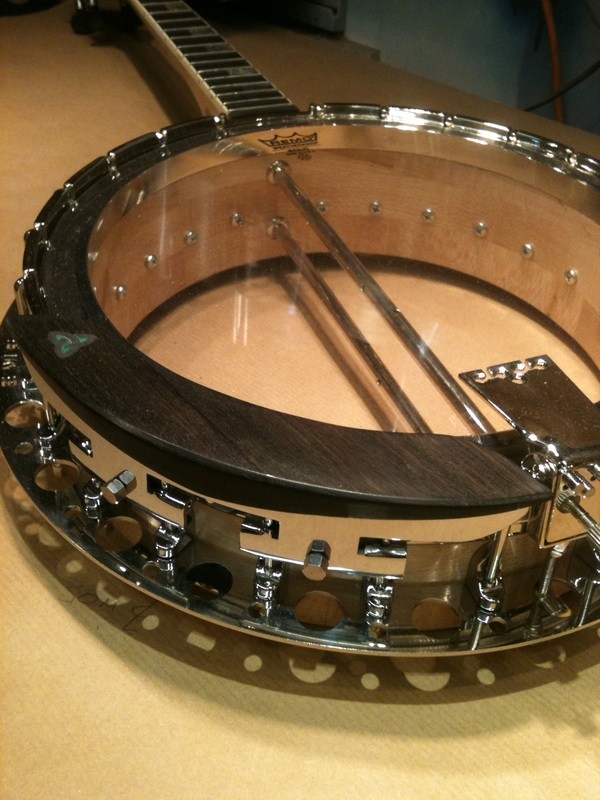 This armrest is totally exclusive to Emerald banjos and has been designed with the player in mind, no more cold start to the wrist. 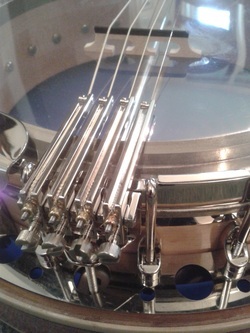 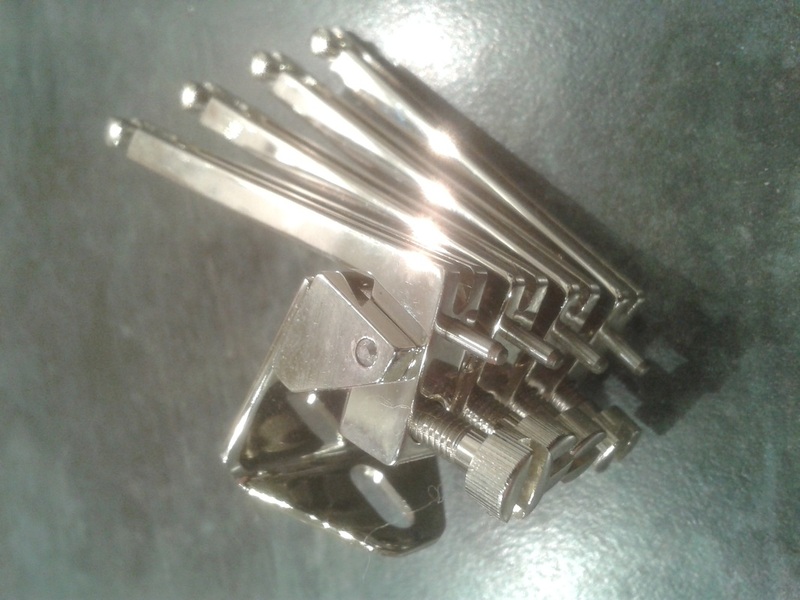 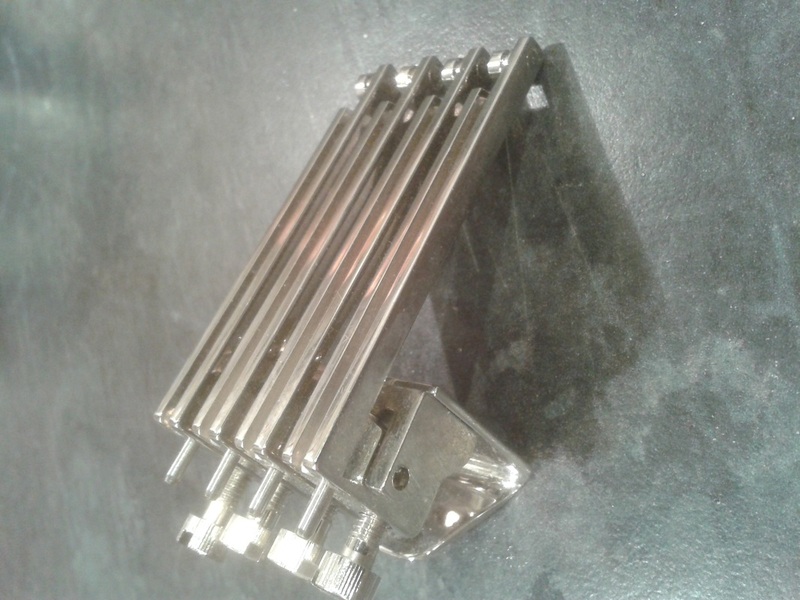 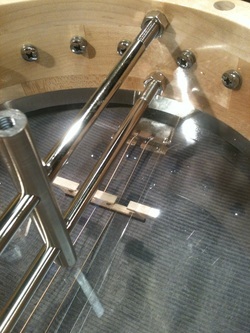 This remarkable device has been developed by us to make the removal of the resonator as simple as possible, seen here from the back, the nickel plated "boss" straddles the co-ordinator rods, the resonator is then placed onto the banjo and fixed via a stainless steel bolt through to the boss giving a firmly fixed yet easily dismountable resonator, a true godsend for cleaning and or playing in the open back style.It is adorned with our trademark emerald on the top.